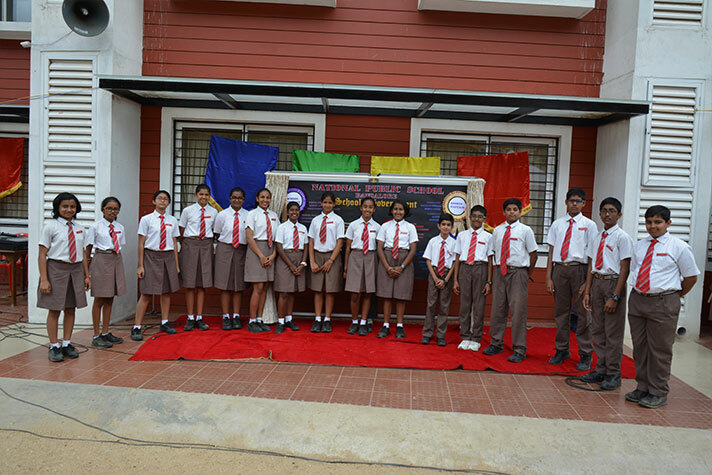 A new academic year, a new beginning... a new Student Council. 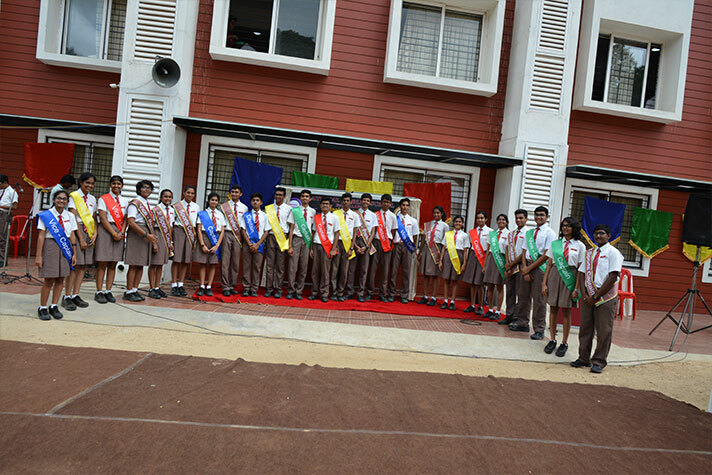 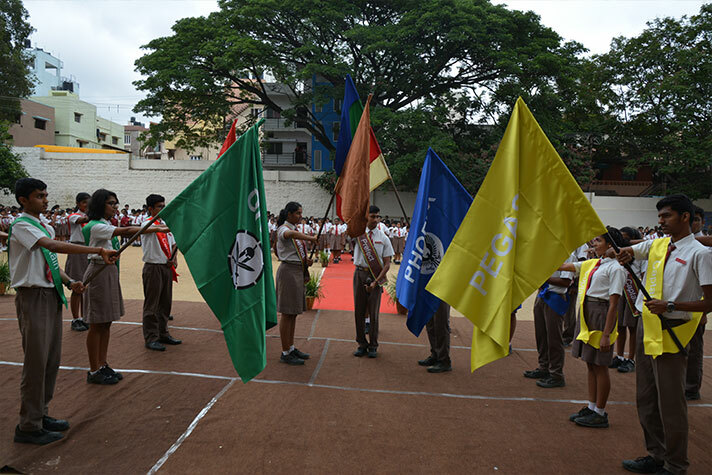 NPS Rajajinagar inducted a new Student Council for the year 2018-19 on the 20th of June 2018. 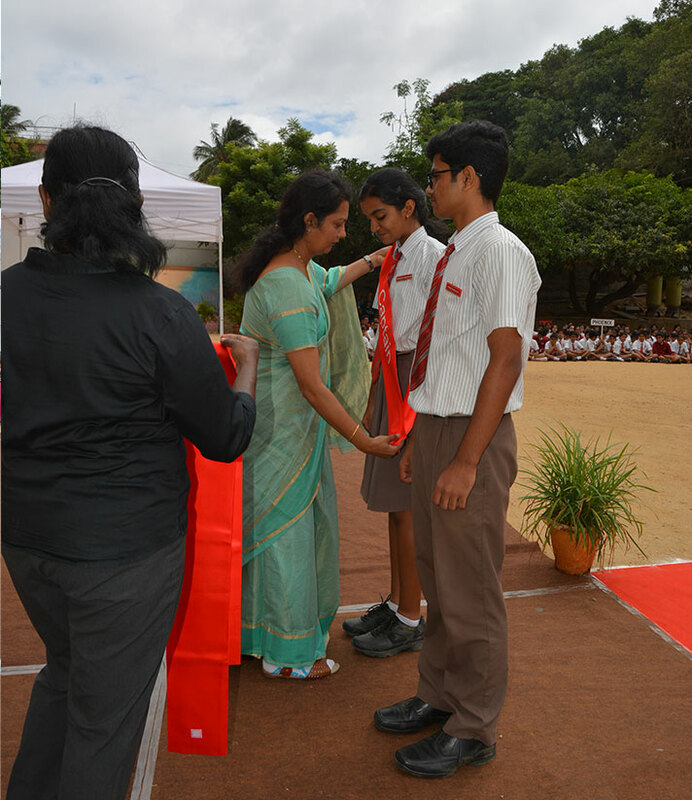 The event began with an invocation, seeking blessings for a successful year ahead. 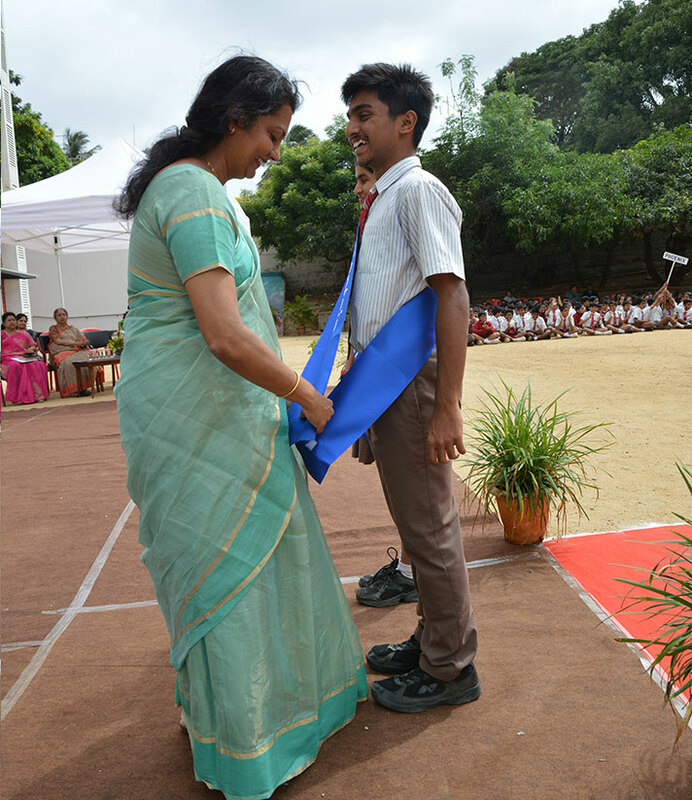 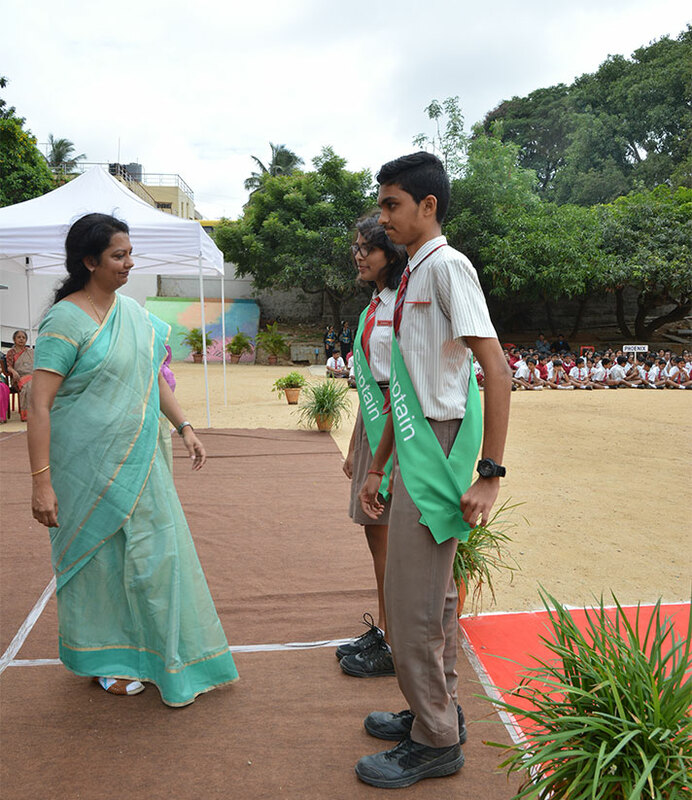 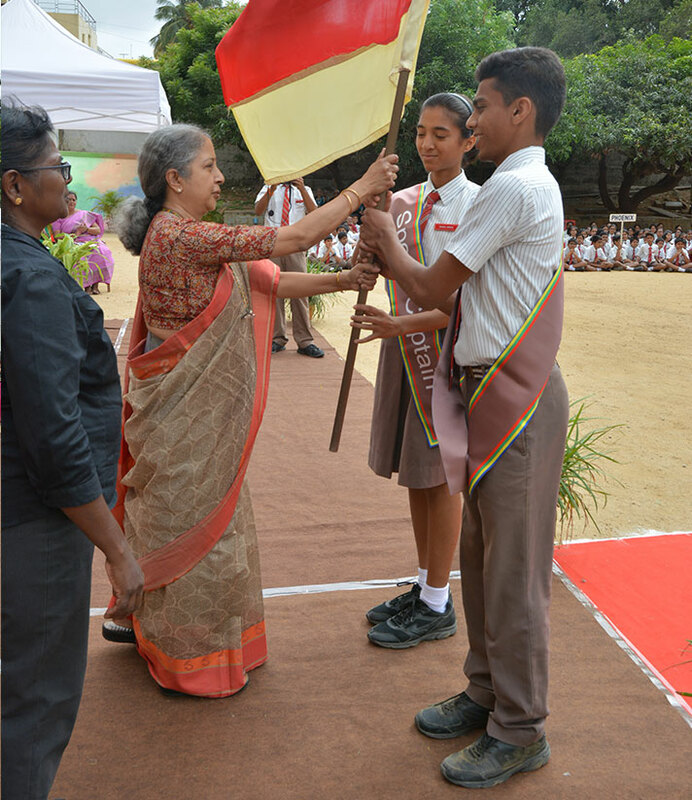 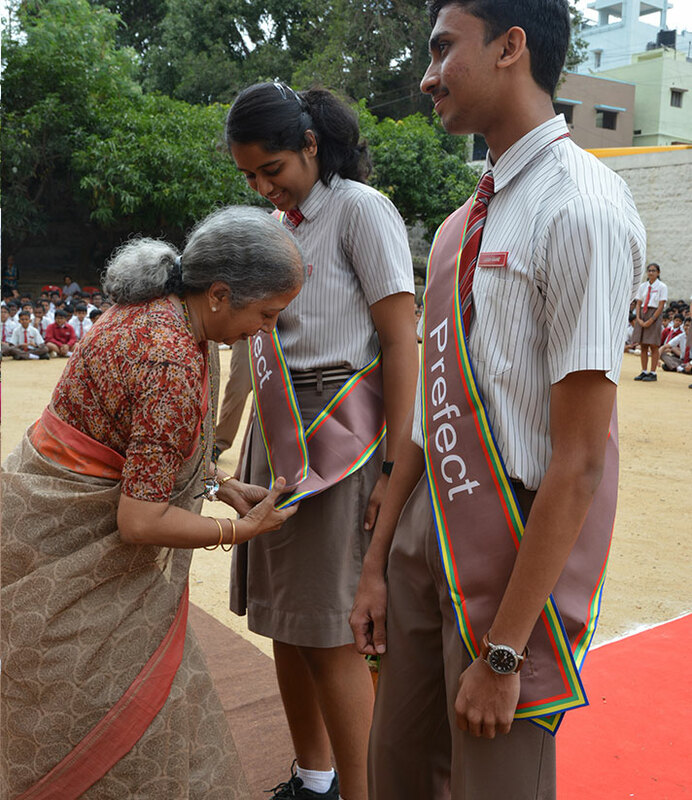 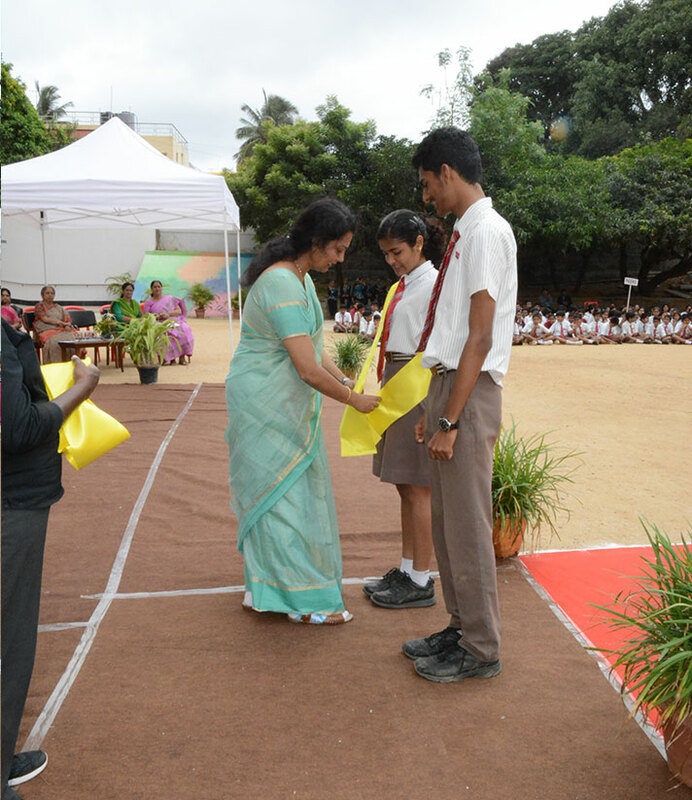 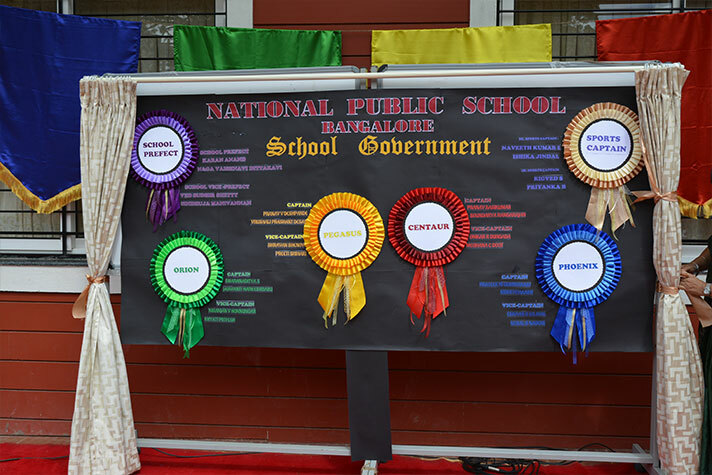 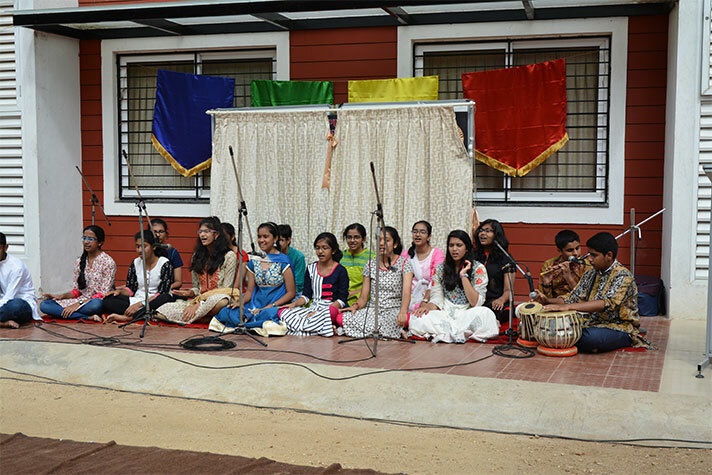 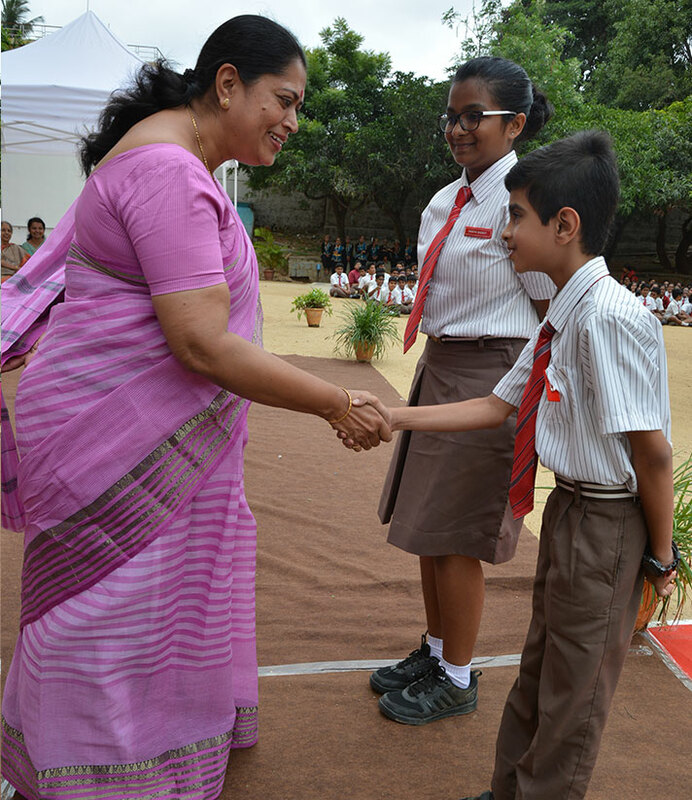 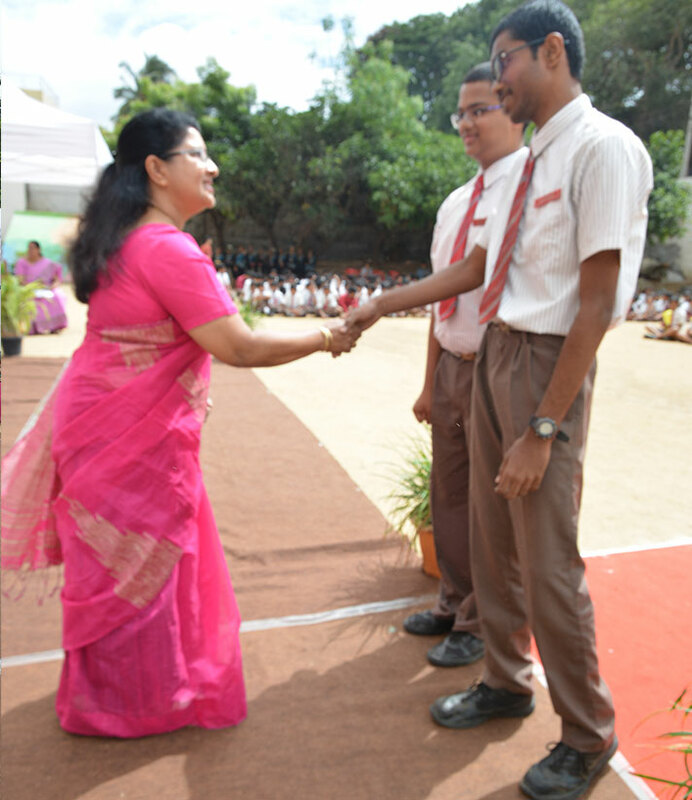 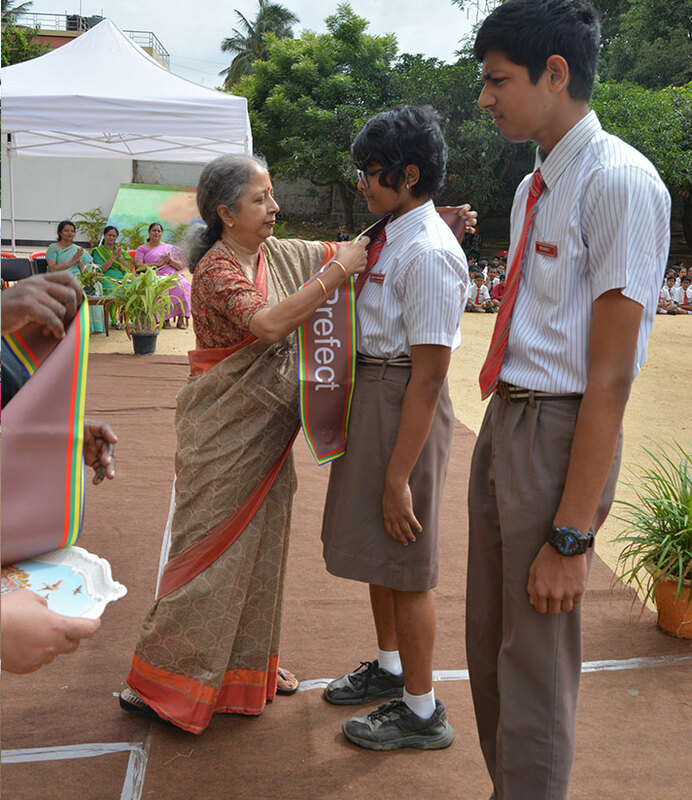 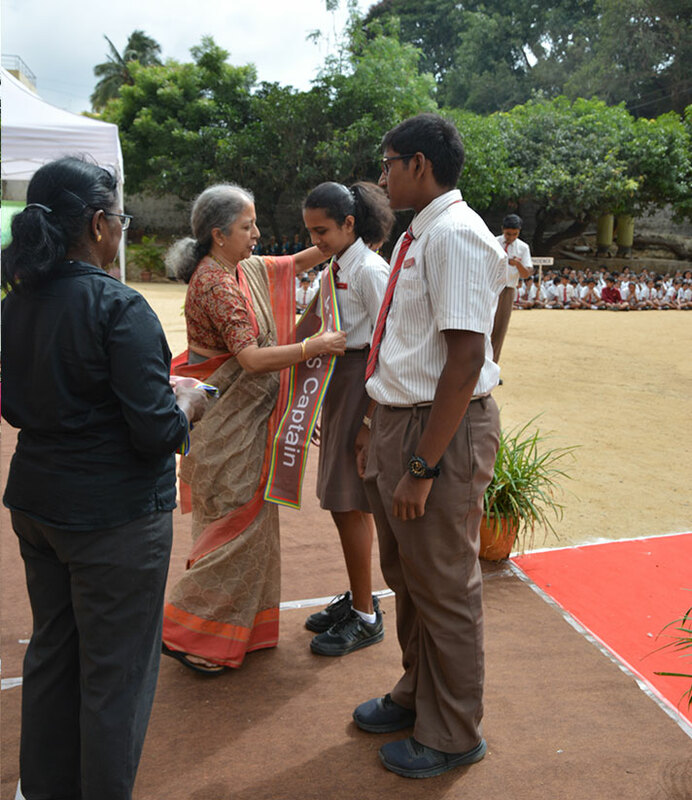 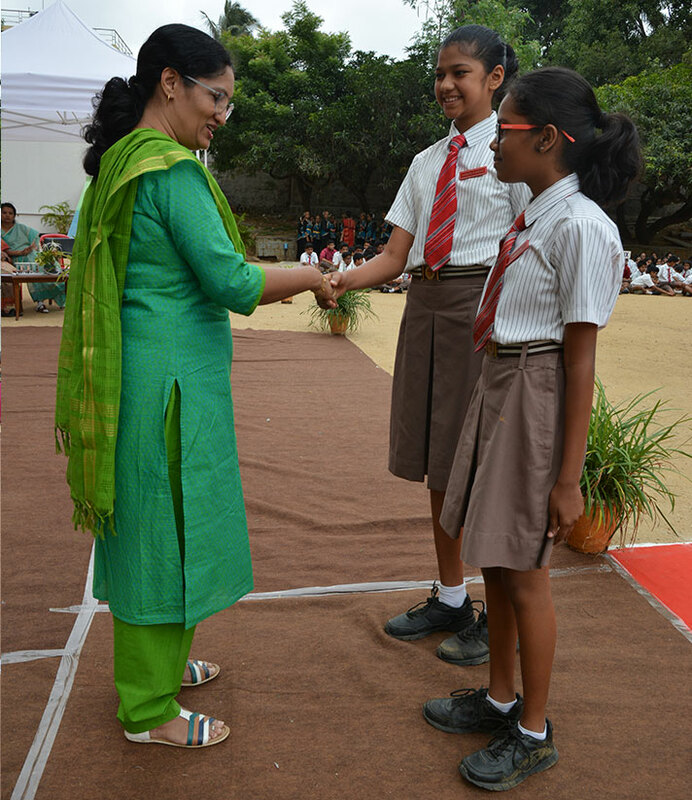 In her speech, Principal Ms Malathy Narayan encouraged the students to set goals, make use of the opportunities given and achieve accolades for themselves and the school. 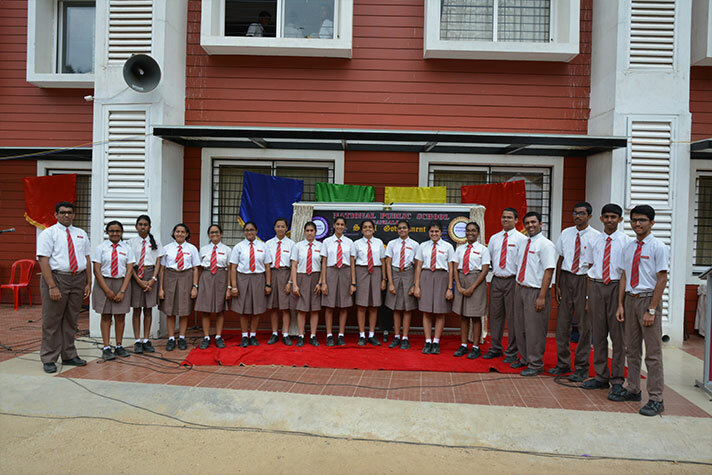 The members of the School Council were then formally inducted as Prefects, Captains of the 4 houses, Presidents and Secretaries of associations. 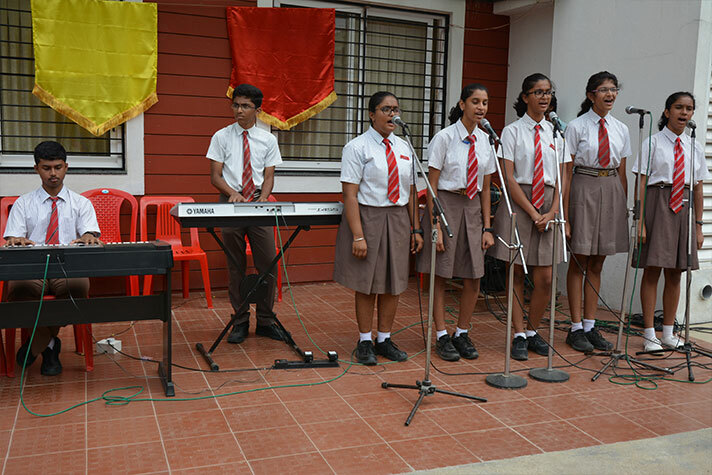 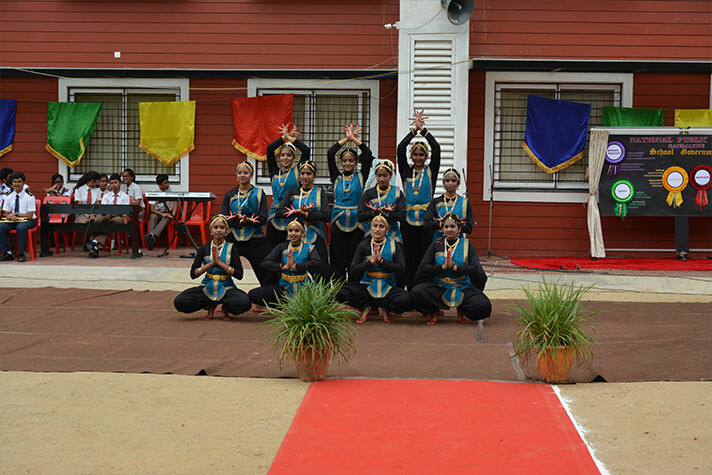 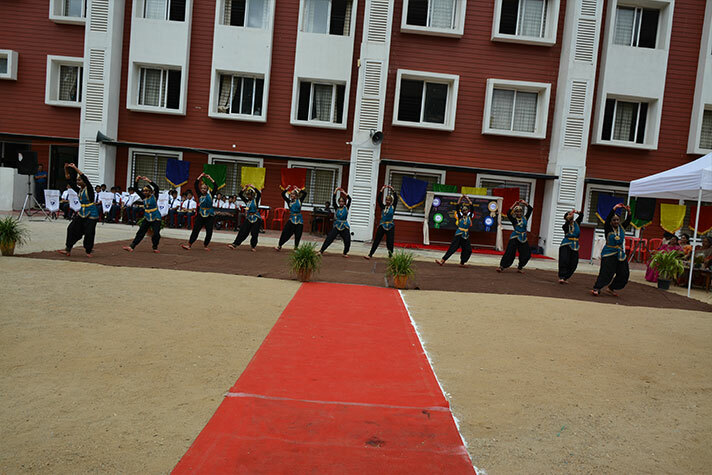 A foot tapping dance and an inspirational song to the accompaniment of the School Band added variety to the event.